If you came to Tahiti and her islands with the deep wish of actually meeting the Polynesian people and its atypical, mysterious and exciting culture; if you have chosen to leave the melancholy of these depressing “endless autumnal endings» of Europe or North America to follow the sun towards the enigmatic shores of that distant and improbable west; if at last, you are dying to “shake the boredom” of these dreary seasons that literally smell “the end” to flee to a real “elsewhere” where you would feel borne and taken away by an air of profound renewal … then yes, it is obviously time for you to come and live with us these famous ritual celebrations and ceremonies of the “Matari’i i ni’a”. 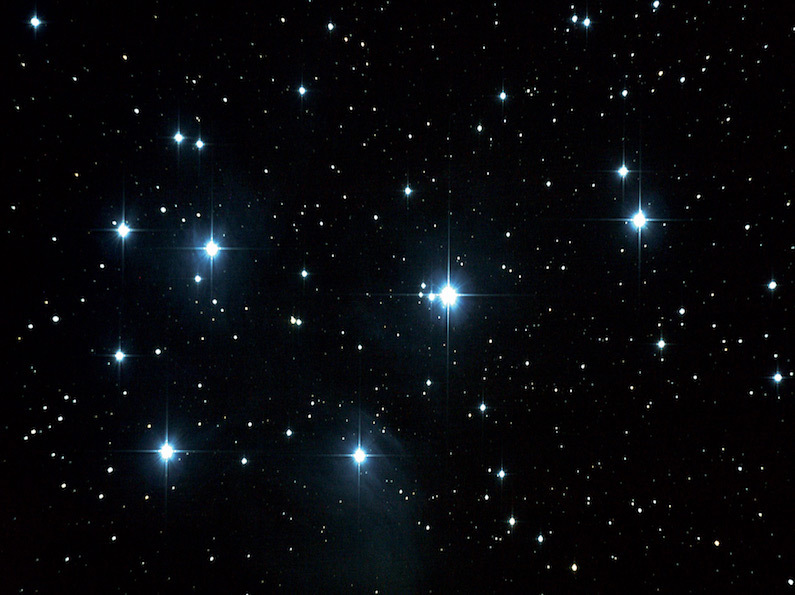 The rising of the Pleiades in November coincides with the return of the rain season. It is from “Matari’i i ni’a” that nature becomes generous by lavishing fruits, vegetables and tubers (tuberous plants such as yam and taro have been and remain today the base of the diet of our island’s populations). Also, “Matari’i i ni’a” opens an era of fish abundance (mainly reef or lagoon fish which most species use to breed at that time of the year). The festivities that usually marked the appearance of the Pleiades really were events of prime importance. An incredible pomp was displayed on these occasions. And the festivities were continuing over the 6 months of the abundance period… It would be erroneous and even reductive to retrospectively see a simple need for fun and rejoicing of our ancient populations in all these rites, celebrations and feasts… In reality, the festive and spiritual aspects were intimately and indissociably linked to each other: It was a question of enjoying the benefits of nature and life while carrying out a real celebration expressed through rituals of dance songs and incantations … In the rituals of “Matari’i i ni’a”, we must especially see some powerfully spiritual form of prayer and thanksgiving addressed to the gods … “Matari’i i ni’a” simply was the “highlight” of the year and in fact, it truly marked the beginning of the year in the traditional Polynesian society.